The counting of votes for the Assembly elections in three Northeastern states -- Meghalaya, Nagaland and Tripura -- will be held on Sunday amid tight security, officials said. The election process in Nagaland had started on a difficult note. Following a no-poll diktat from the Core Committee of Nagaland Tribal Hohos and Civil Organisations that advocated "solution (to the Naga political issue) before election", political parties initially kept away from the poll process. 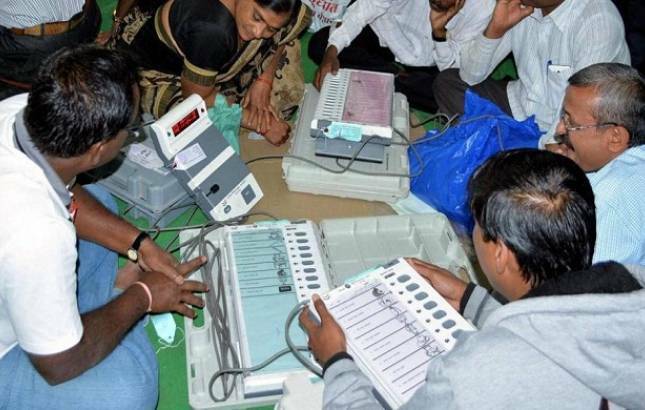 In Nagaland, 349 tables in 17 centres across the state would be set up for counting on Sunday, the Chief Electoral Officer (CEO), Abhijit Sinha, said. Meghalaya Chief Electoral Officer F R Kharkongor said a three-tier security arrangement has been made at all the 13 counting centres and 11 companies of Central Armed Police Forces (CAPF) have been deployed here for the counting process.